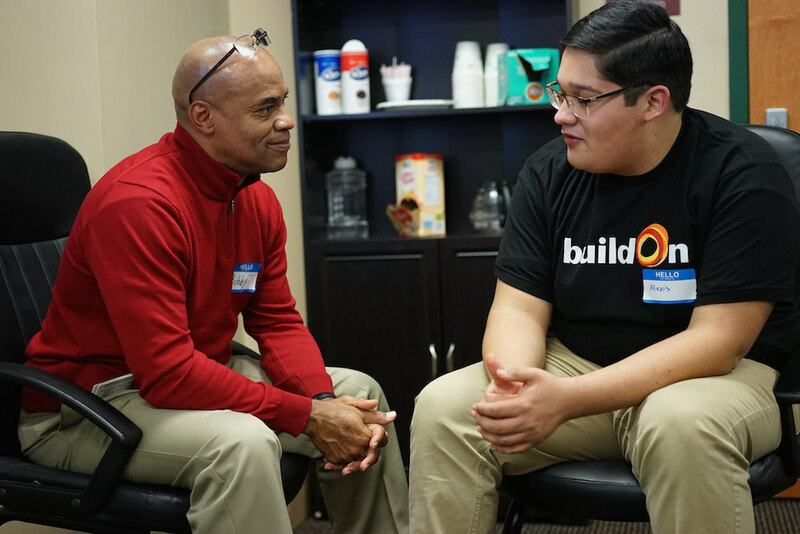 Georgi-Ann is part of a group of UAW-GM employees who are participating in buildOn’s Partnership Program, a unique and immersive service program that allows companies to partner with buildOn students to share skills, offer mentorship and serve their communities in solidarity. Over the course of six months, UAW-GM and the Detroit students are teaming up for monthly sessions aimed at helping students gain critical tools for their future while addressing the needs of the Detroit community. This is UAW-GM’s second consecutive year engaging in the Partnership Program at Western International High School. 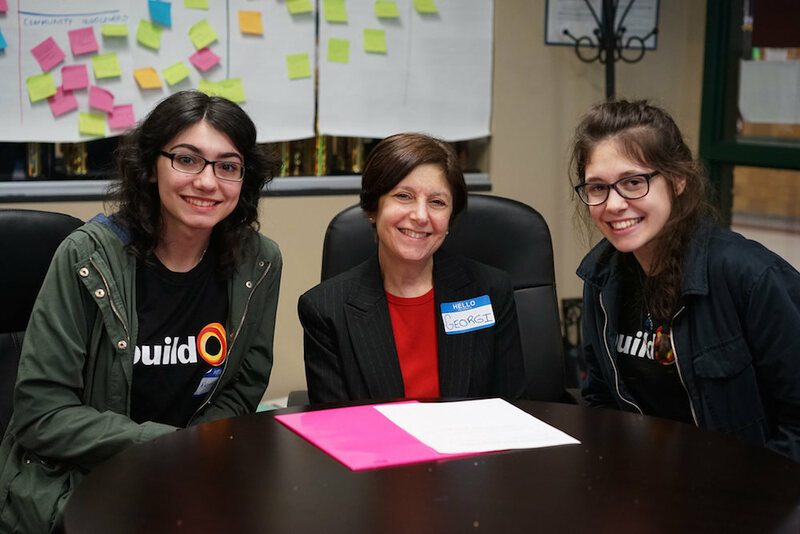 Like all of buildOn’s Partnership Programs taking place in cities such as Chicago, New York, and San Francisco, UAW-GM mentors partner with buildOn’s service learning experts already working in buildOn’s partner high schools to coach students, one-on-one, on a topic of the mentors’ choosing. In each Partnership Program, buildOn provides the curriculum and structure for the sessions, while the mentors provide expertise. The program culminates with mentors and mentees creating a service project together. Topics include career development, financial literacy, technology and college readiness. Above: Mentors meet with students one-on-one for six months to cover a topic of the mentors’ choosing. Each Partnership Program culminates with mentors and mentees creating a service project together, and Carla and her mentor planned a food drive for a local food pantry. Carla wanted to keep the goal for the amount of food the drive raised low so that it would be easily obtainable. But when Carla’s mentor urged her to set her sights higher, Carla’s entire perspective changed. “Ever since she told me that, I’ve had high expectations for everything,” Carla says. Their food drive ended up collecting over 1,000 cans of food for the pantry to give to families experiencing food insecurity in Detroit. Georgi-Ann agrees with Cindy. “It’s something any for-profit or nonprofit should think hard about doing. This program is so well worth it because of the ripple effect it has across the community. It is an incredible investment in youth and ourselves,” Georgi-Ann says. Learn more and find out how you or your organization can participate in buildOn’s Partnership Program. Below: This is UAW-GM’s second year participating in buildOn’s Partnership Program and mentoring students from Western.